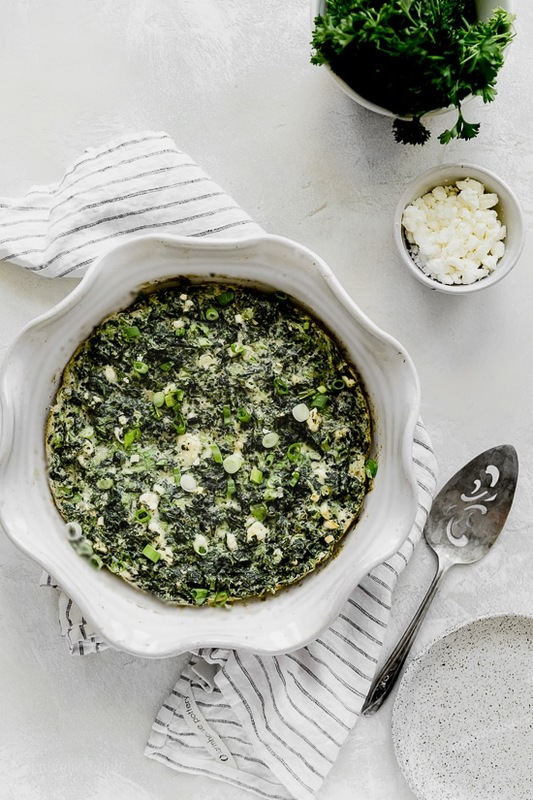 A simple Greek inspired Easy Crustless Spinach and Feta Pie combining savory flavors such as spinach, feta, Asiago cheese, dill and scallions. Perfect to take to a potluck! 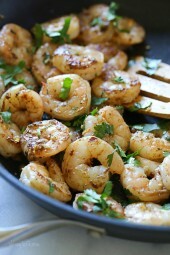 Served with a salad, you can turn this into a main dish, or cut it into smaller wedges to serve as an appetizer. Also a great addition to brunch. Enjoy this warm or at room temperature. You might also enjoy Crustless Broccoli Cheddar Quiche, Crustless Summer Zucchini Pie, and Petite Loaded Veggie Quiche. To freeze any leftovers, wrap tight with plastic and store in the freezer for up to 3 months. To reheat thaw overnight in the refrigerator and heat in the oven or microwave. A simple Greek inspired Easy Crust-less Spinach and Feta Pie combining savory flavors such as spinach, feta, Asiago cheese, dill and scallions. Perfect to take to a potluck! Lightly spray a pie dish with cooking spray or your misto. 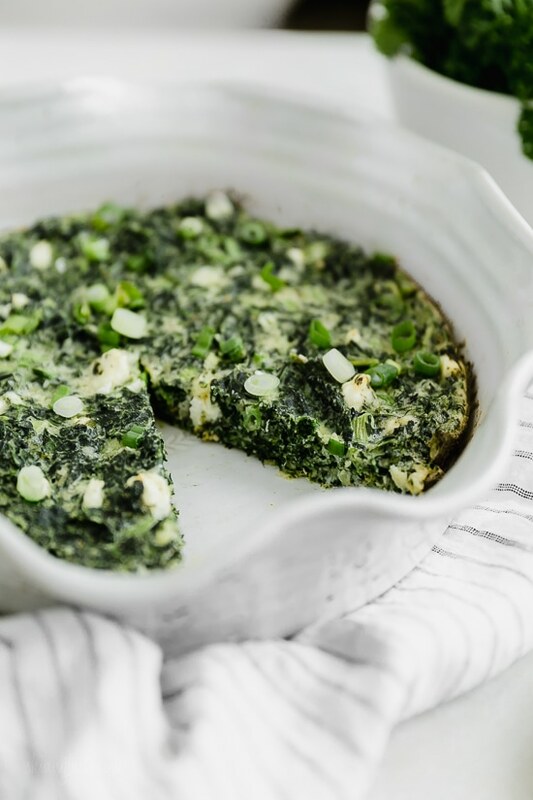 Mix spinach, scallions, dill, parsley, feta cheese, and spoon into the pie dish. Sift flour and baking powder in a medium bowl. Add remaining ingredients to the bowl and blend well. Pour into pie dish. Absolutely delicious! I made this as a simple side for grilled salmon. I used fresh spinach and sautéed it for a few moments with EVOO and a whole garlic clove for flavor, then added to the dish. This is definitely a keeper! 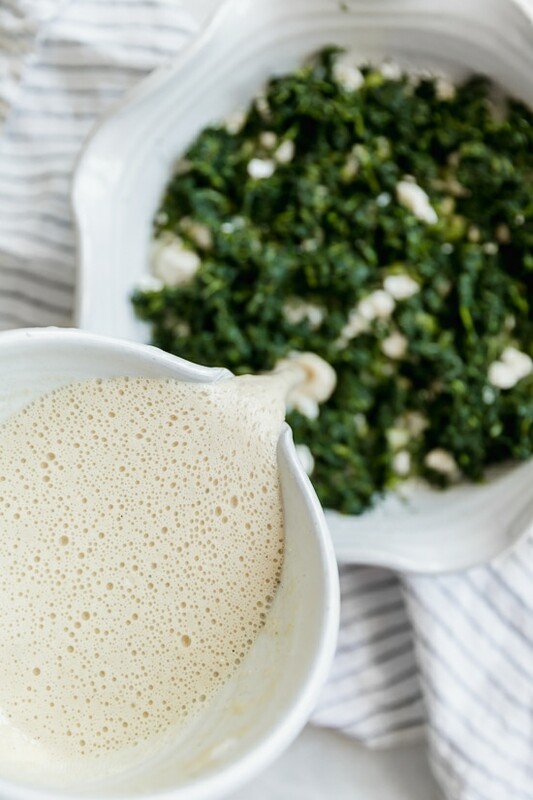 Can you make this with fresh spinach? This was really good. I added 2 eggs to the spinach mixture because when I made it without the extra eggs it was dry. this sounds wonderful so it is currently in the oven…. but I added 1# ground turkey for some protein since my kids may look at me oddly if I gave them a pie of spinach. I did double the liquid/flour mix. and used GF flour. Will let you know how it turns out. Can’t wait! How would it be to add some chopped kale? Is it OK to use all purpose regular flour? Is it possible to substitute feta for another kind of cheese? Any recommendations? Thanks!! Sure, you can use mozzarella. Is it ok to use whole wheat pastry flour? Delicious! Thumbs up from the picky husband and he commented that he liked that it wasn’t so ‘eggy’ like a quiche is. It’s definitely a keeper! Thank you! Can I make this the day before and reheat? I’ve made this recipe 4 times in the last 2 weeks-my family and I cant get enough of it! 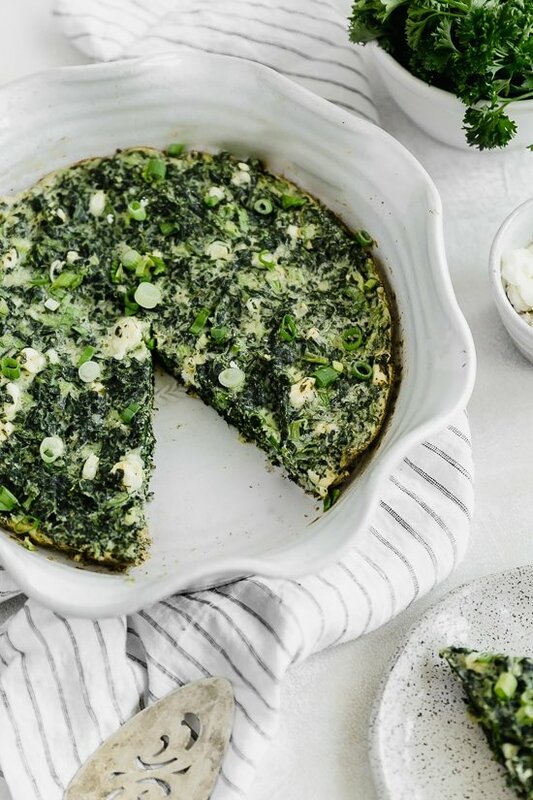 This spinach pie is so easy to make and packed with flavor. I add an overflowing tablespoon of lemon juice and about 1/4c of white onion to give it an extra kick. I loved this recipe except it was way too salty. I don’t eat salt by choice except for what is naturally in foods. I will make again but without added salt. I made this recipe twice. 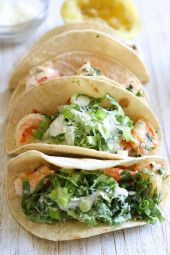 I liked the first time much better – more flavorful and better Texture. I think the difference is the first iteration of this recipe required pouring the batter on top of the spinach and cheese and herbs and the second interation had them being mixed well together. Am I correct? This was AWESOME and easy! I had a big bag of fresh power greens to use up from Costco. Worked great even though it was kale, Swiss chard and spinach. This will be a staple in our house all summer as I use up farm eggs and all our garden greens! 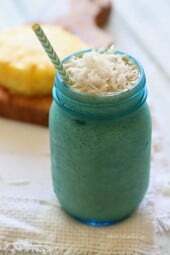 Absolutely delicious and super easy to make! This will definitely be a repeat. I made this for dinner yesterday as part of the meal plan and (to my surprise) not only was it delicious it was also filling! I wasn’t expecting for the meal (caprese bean salad & this spinach pie) to be a satisfying dinner but it totally was. Thanks! This was great! I served with a bunless greek burger, slices tomatoe & cukes and tahini sauce. I was just delicious! That’s such a pretty pie dish, Gina! Do you mind if I ask where you got it?